This piece was originally published in the April-July 2018 issue of our journal, Vol. 4, Issue 1: Green. While perusing the West Tennessee Farmers’ Market, it would be hard to pass by the mountain of deep green vegetables and neon radishes of Rose Creek Farms, owned by Ray and Ashley Tyler. 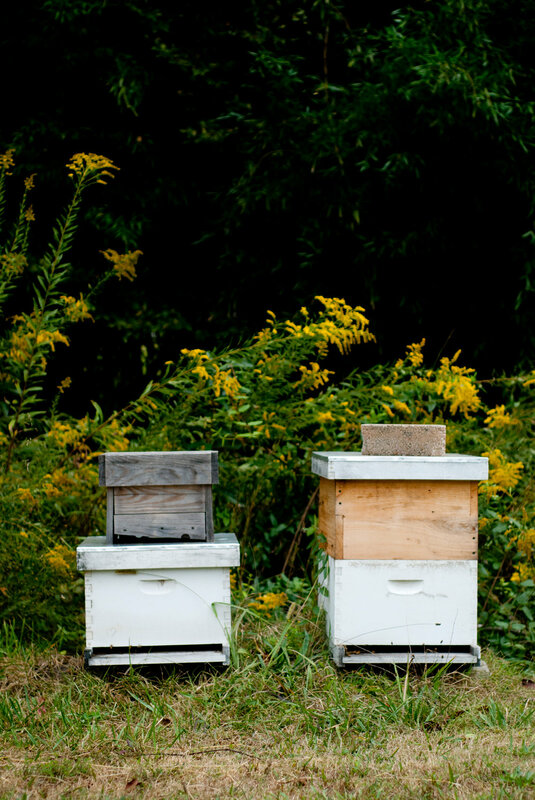 Their farm is nestled in a valley in Selmer, Tennessee, with a little over one acre of active farming land. 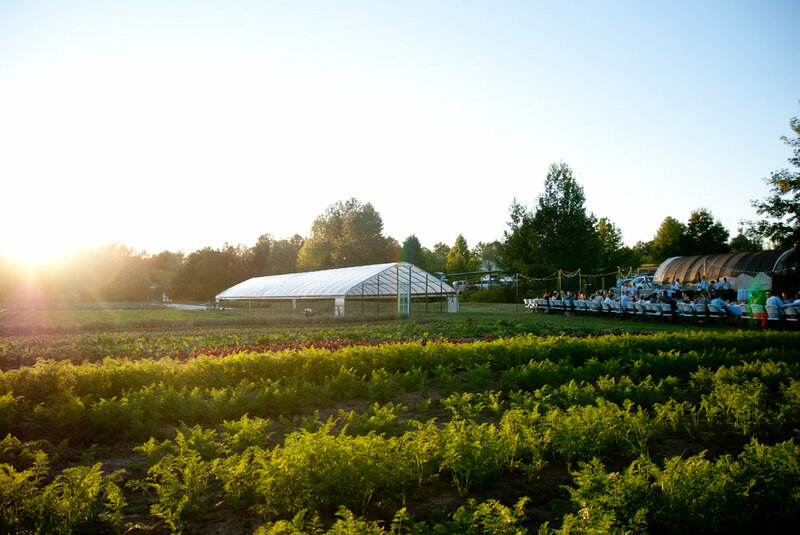 With the help of high tunnels and row covers, they’re able to extend the typical season barriers to grow deliciously tender greens and veggies all year round. The almost floral flavor of their carrots will pivot your taste buds away from the supermarket shelves and back to the earth. In 2012 a mutual friend briefly mentioned the story of the Tylers’ journey to organic farming. Their vision and communal way of living captivated me. I sent them an email, and just a short time later, I was driving through the grassy hills south of Jackson to spend some time with them. Rose Creek Village, where the farm is situated, is an intentional community inhabited and maintained by members of the Tylers’ church. When I pulled up to the main drive of the neighborhood, following the directions I had scrawled on a piece of paper, I curved around the street lined with homes. My eyes followed the gravel path past their house and down to the valley where rows and rows of little green and purple plants trailed as far as I could see. The rest of that evening felt as though all of the cogs and wheels in the clock of my life had harmoniously fit together to point me here, to this place in time. I stood at the sink washing carrots in their kitchen while their children swirled around the living room. While Ashley finished making the soup that would in ten minutes’ time change my life forever (and eventually be served at my wedding rehearsal dinner), I chatted with Ray about our visions for sustainable food systems, reconciliation, food security, and Jackson’s flourishing on the whole. I would like to believe that I had enjoyed a few good meals in my life prior to this evening at their dinner table, but in the moment, it was magical. As a girl who grew up on frozen lasagna and casseroles for dinner, this was unlike anything I had experienced. Everything was pulled straight from the earth a few hours earlier and prepared with thoughtfulness, all for a curious stranger who basically invited herself over. That evening embodies who I believe the Tylers are. 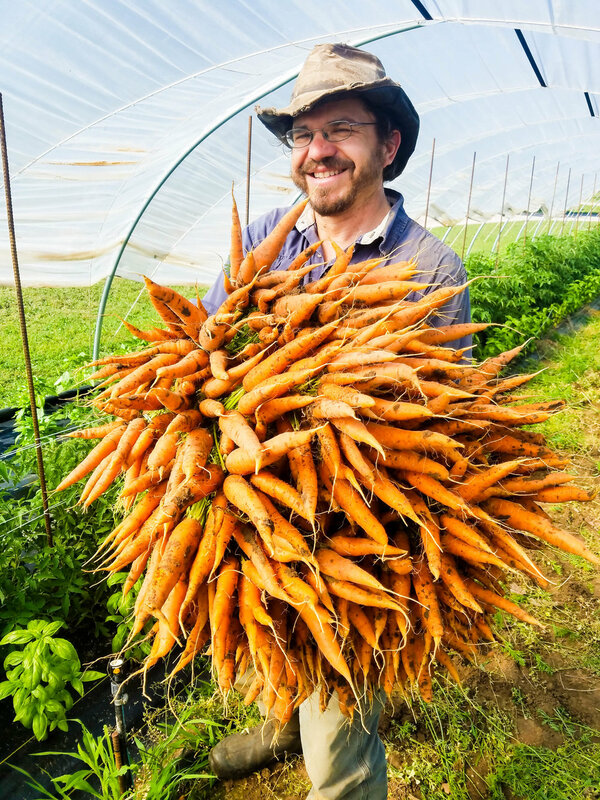 Though they started their organic farming journey in 2009, these last few years have landed Rose Creek Farms on the map of sustainable farming far beyond West Tennessee. As a family with five little ones, Ray and Ashley have cultivated a lifestyle where the children can learn and grow alongside them as they work. While a lot of farmers often find time to work during their kids’ school time, the Tylers have found a rhythm for themselves through homeschooling. Being able to spend the day in the fields helps the kids appreciate where their food comes from and gives them a good example of learning how to work hard for the things they want. True family farming does come at a cost, though, both in labor and in product. “During turnip season we take a hit,” Ray laughed as he told a story about the kids excitedly asking if they could eat a few turnips, only to turn around a few minutes later and find they had cleared half a bed. The Tylers take great care to train the children to be responsible, help out with tasks, and use tools appropriate for their age. Learning what motivates each of their children and what makes them unique in how they interact with the ins and outs of farm life has been a rewarding journey. Children have always been central to the vision the Tylers had for their lives. However, they could never have anticipated the road they would find themselves on in the spring of 2015. Their oldest daughter Asha, who was six years old at the time, was diagnosed with stage four squamous cell carcinoma. This shocking discovery led them to refocus and structure their lives around healing her body. As a family, the Tylers began to follow a strict vegan diet, free of anything that could hinder her healing process. It was the time of year when farmers are typically gearing up for their biggest growing season, but everything on the farm was on hold. After weeks away at St. Jude and LeBonheur, they came back home to the farm and decided it was time to put some major changes in motion to better their quality of life. At the time, Rose Creek operated as a meat production business, in addition to growing produce. After running the numbers with a little bit of soul searching, it was evident the meat production was no longer bringing them the joy it once did. Along came Caleb and Betsy Curlin of Marmilu Farms, who were looking to begin producing pasture-raised meat in the Jackson area. Fortunate timing gave them the opportunity to sell their whole meat production business at all once and to move on with narrowing in solely on produce, family life, and healing. Fast forward three years and one intensive surgery later, Asha is now cancer free, and the family business is thriving, attracting audiences from all over the globe. As they’ve pruned their varieties towards only choosing the most productive and profitable crops, they’ve also leaned in to calls for consulting and education for other small family farms. 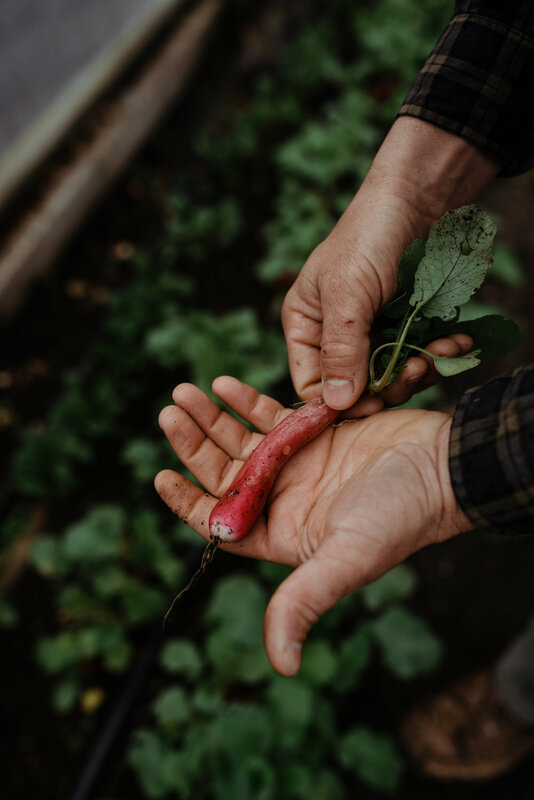 With a few very successful educational events with farming celebrities like Jean-Martin Fortier and Curtis Stone, Rose Creek Farms has a dream to create more communal events where like-minded farmers can get together, ask questions, and learn alongside each other. Every Saturday starting in the spring, they sell their produce at the Farmers’ Market in Jackson, but for those who can’t make it to the weekend market or want more produce options during the week, they have started a drop-off program in partnership with Grubb’s Grocery. Through an online ordering system, they are able to provide custom produce orders delivered to Jackson. They’re fine-tuning the ordering process to be more convenient for their customers who would rather pick up their order. The Tylers’ hard work and determination has helped them plow through clay soil, sickness, and all the woes and worries that come along with family farming. Their vision for a greener, healthier, and brighter Jackson should encourage us all to follow along. Rose Creek Farms is located at 999 Lola Whitten Road in Selmer. To learn more, visit their website or call them at 731.645.2834. Additional photography provided by Rose Creek Farms.